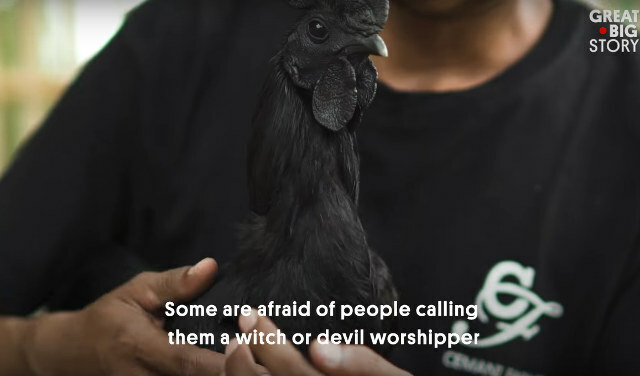 This is a video highlighting Indonesian farmer Wira Cusuma, who raises Ayam Cemani chickens, which all "possess a dominant gene called fibromelanosis, which creates hyper-pigmentation down to the animal's bones. The bones are black, as are the chicken's beak, feet, crown and organs. "Demand is for the chickens now is high (the price is going $700 - $1,400 apiece).